CALL for WORK! 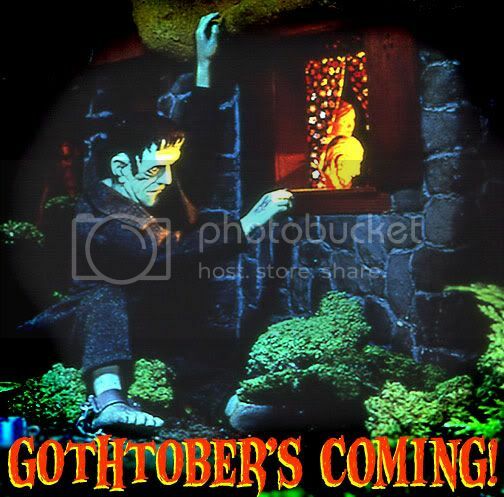 Be in Gothtober 2009! 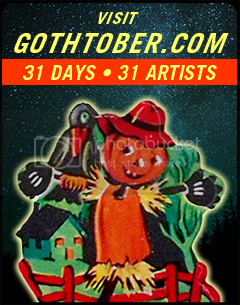 You don’t have to be an artist to do Gothtober, you don’t even have to live in the same country, state or county that Gothtober is made! We’re looking for strange and weird, fun, freaky Halloween treats from everyone all over the world! We are Certified Public Internet art, generated for the public to peruse on their Falltime Internet Machines! I’m talkin’ recipes, crafting how-to projects, stories, videos, animations, downloads, music, whatever you come up with, WE WANT YOU!!! Fill out an app, and we’ll let you know as soon as possible if you’ve made it into the calendar! This Year’s Theme? Drive-In Movie! See the FAQ for a more detailed description. Contact us with any questions the FAQ doesn’t address. All right, show some graveyard spirit and send in your application, and remember: You’re Bootiful!